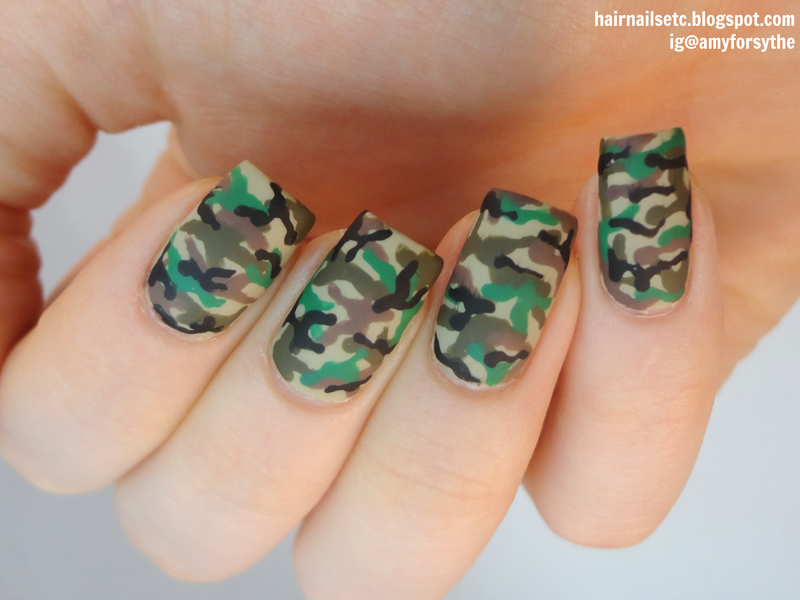 A really fun bit of nail art for you today. And it was so simple to do! I really love this manicure, I can't stop looking at it. It's nice having a break from the usual girly designs. 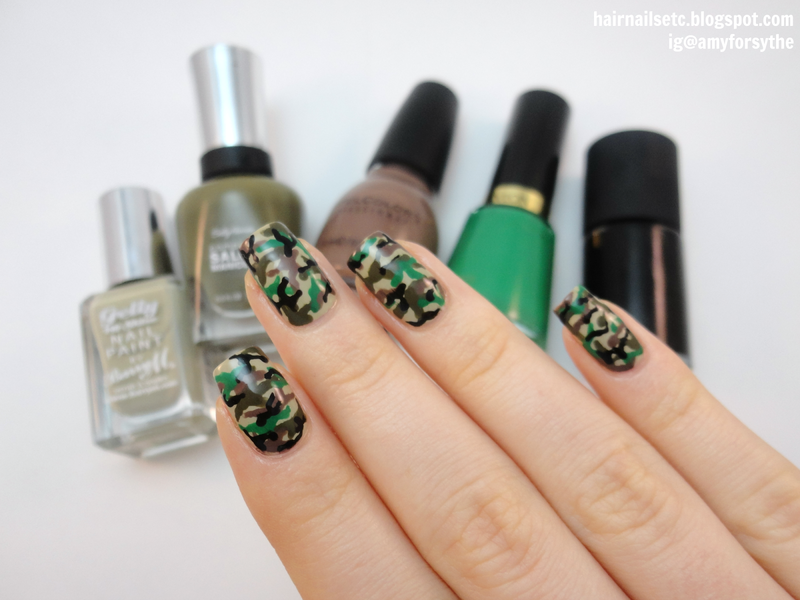 I've never tried to paint camouflage print before so I just looked up some images on google and tried to copy them using the polishes I had available. I think it went well. Funnily enough my camera really struggled to focus when I was trying to photograph these nails - I have 98 photos and only about 10 of them are in focus! - so I think that means the camouflage worked?! The method I used was fairly basic. I started out by painting all the nails with the lightest colour, Barry M - Olive, and then used a small dotting tool to paint random 'splodge' shapes in different colours. 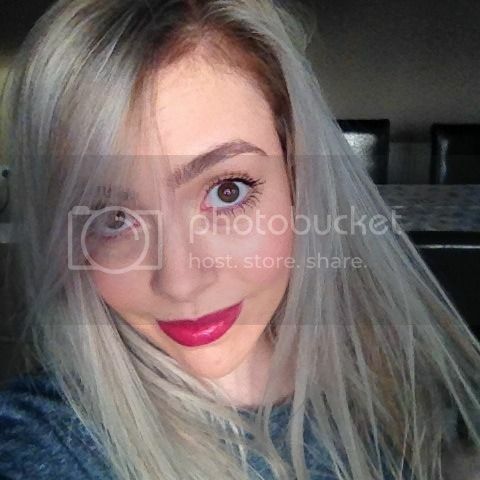 I used one colour at a time, from lightest to darkest. For the final black blobs I used an extra small dotting tool. There really isn't much of a technique, just dip the tool in the polish and drag it around on the nail until you're happy with the shape. But do remember not to overdo it, you want there to be gaps for the other colours to show through. Once the design was completely dry I sealed it with a glossy top coat. But the next day I went over it with a matte top coat and I actually prefer it this way, plus it photographs better! 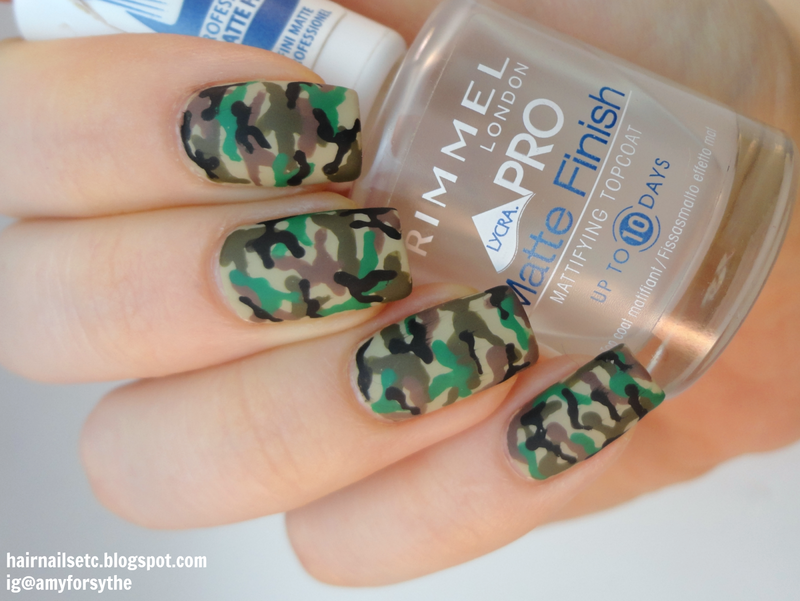 Matte top coat is such a great way to change up your manicure. I think if I do this design again I would like to add some little gold or silver studs as well, just to toughen it up more. What do you think? Do you prefer the glossy or matte version? Wow! 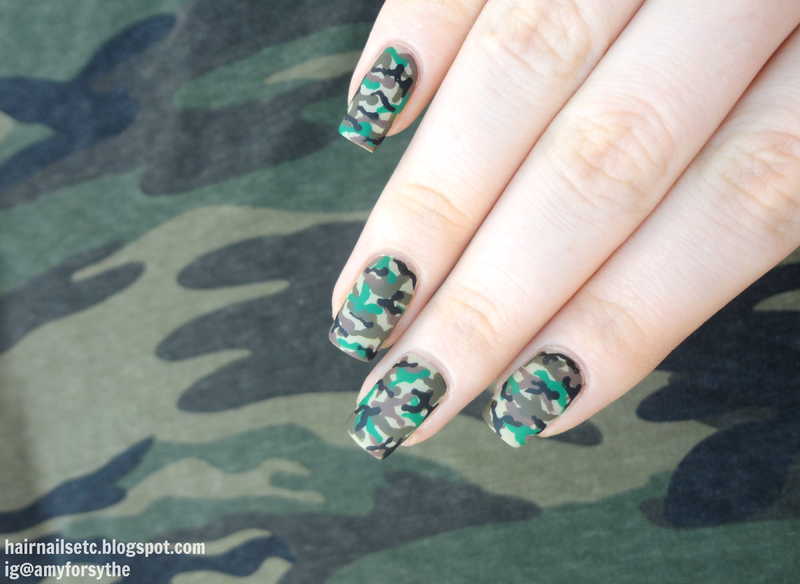 I really liked the nail paints and this army design on your nails. 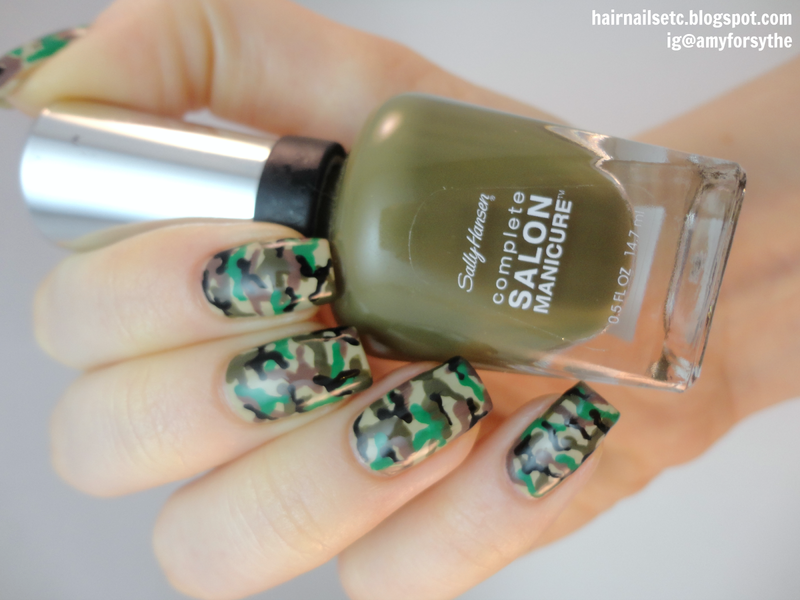 Keep trying more nail art and do post a tutorial of having a nail art.